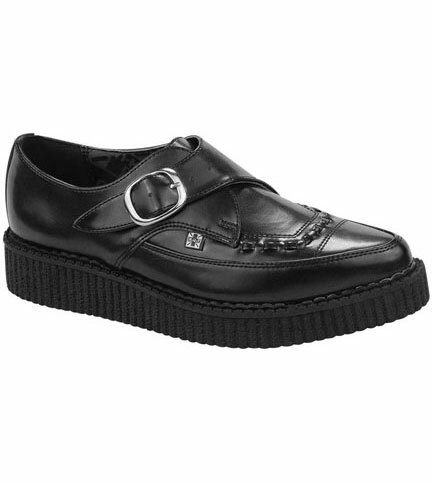 Black leather monk side buckle pointed creepers with black stitch detailing and 1.25 inch platform. By TUK. 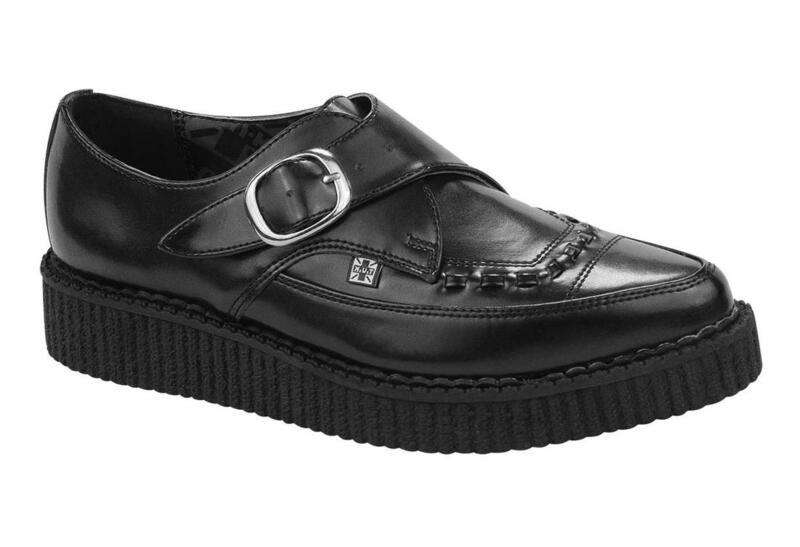 Slip on shoes. 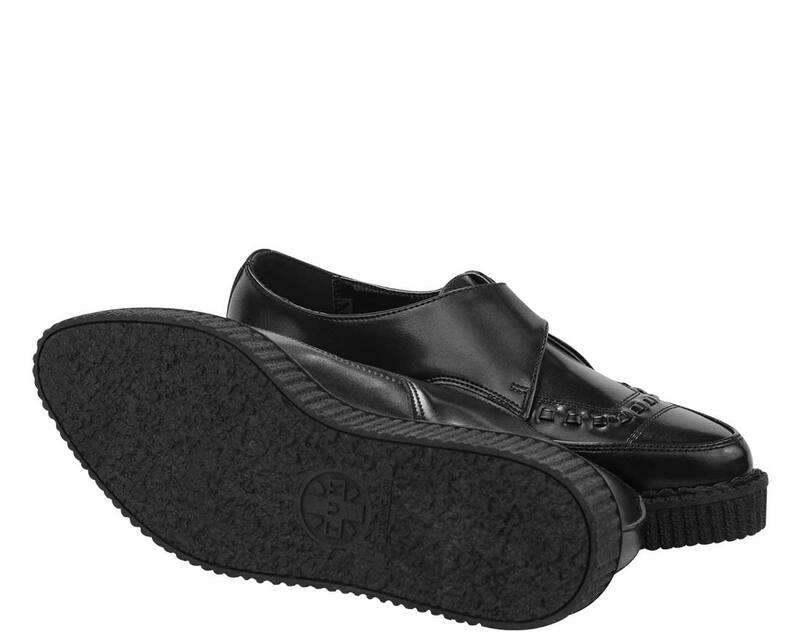 Flat sole. Imported from the UK. Perfect for work or special occasion.